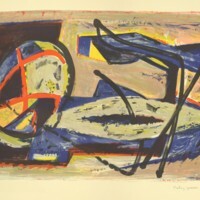 A color lithograph entitled "Composition" by Guerin Colas. 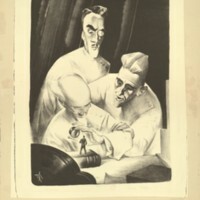 The color lithograph depicts many shapes and colors. 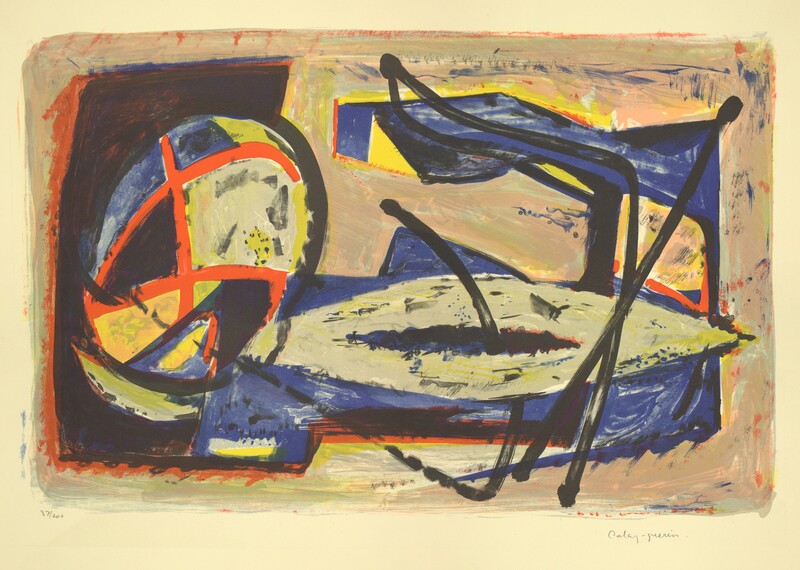 15 1/4" x 19 1/2"
Colas-Guerin, Jacques, “Composition,” Digital Exhibits, accessed April 24, 2019, https://cuexhibits.wrlc.org/items/show/202.